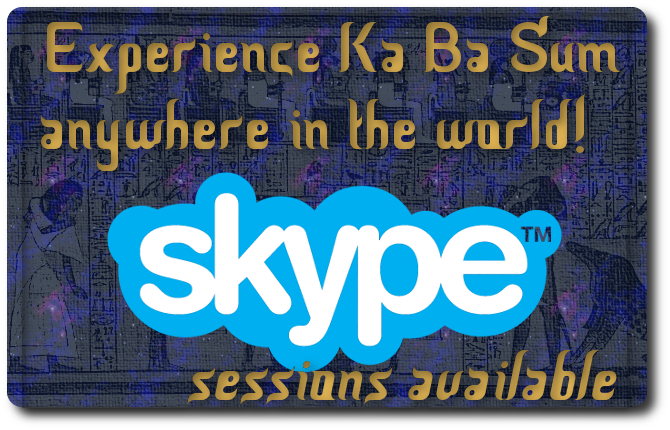 20% off Ka Ba Sum Skype Sessions! I’m currently thrilled with the news that I can do Ka Ba Sum sessions via Skype without losing any of the energy! I was reluctant to try before, because I assumed that the person needed to be in the room with me for it to work. I hadn’t even properly attempted sending Ka Ba Sum in the same way as Reiki is sent as distant healing. Now that I have, and been blown away by the success of it, I am now offering it to the wider audience. I am also offering it with 20% off the normal Ka Ba Sum price. So that’s £40 ($52.50/€47) instead of £50. Contact me to book in your session now!